Before you even begin reading this little piece, I need to make a disclaimer: I am not a fortune teller, wizard or high priest of some dark twisted religion. I am simply but a mortal who has been on a lifelong hunt for some of the secrets of life. Obviously since I am not yet dead, we can all agree that my search is still going on. Along the way, I have tried to find out secrets for how to please a woman, how to evade taxes and not get caught, how to get a hug from Jessica Alba, how to doze through a date without your partner noticing and most recently, how to support the miniskirt without seeming like a pervert or flesh hungry man. All these things, I have taken my time to try and understand but the one thing I seem to have mastered is understand how to live forever. By now, I am sure you are wondering what exactly I mean. What I mean here is I have finally uncovered the secrets to living forever. In cat or dog years, forever could be 10 – 15 years, in the life of certain vegetables, forever could be 2-3 years and in the life of a human being, forever could be anything beyond 70 years. So, depending on what you are, you might want to take some time to see how you can live forever! I present; the secrets to living forever (for human beings). These are the three people I have observed that do not age. 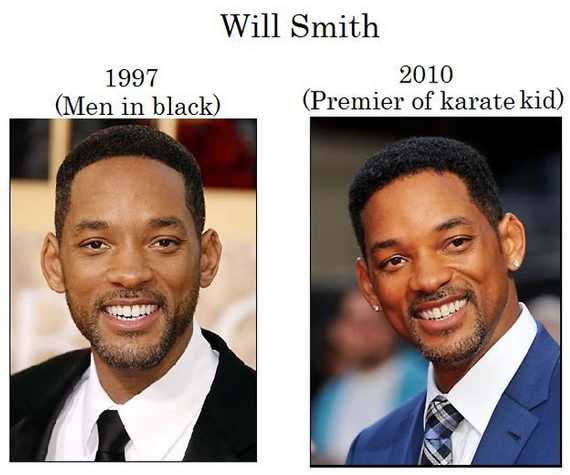 Will Smith does not look a day older than he looked in 1997. The dude actually seems to be getting younger by the day. Whether Jada Pinkett has anything to do with this, I have no idea but this Bad Boy never seems to age. Coming closer to home, Alex Ndawula is probably the closest we shall have to immortality. This guy has been at his trade ever since my early childhood days in the early 90s. Fast forward to 2013, I’m a novice in the radio industry and for some reason; Alex is still rocking the airwaves like he did way back in the early 90s. If he were mortal, surely he would be elsewhere, probably managing a herd of cows and whistling away to Kool and the Gang music. And then take a look at Halima Namakula and her ageless face. True, it might have developed a few marks here and there but I’m confident those are because she constantly has to deal with Rachel K and her drama. Overall though, she looks quite young and in my opinion, she is probably going to live forever. If you can find audience with these people, you will be introduced to the idea how to live forever. I am personally working my way towards having a word with Alex just so I can know how the hell he is not enjoying his pension. Just look at this guy. What sort of witchcraft does he use? My personal research (not really research, just assumptions I have gathered and drummed up into fact over the years) has revealed to me that if you want to live forever, start by being a woman. Naturally, the women are wondering how the hell this even makes sense coz some of them feel like they are in their last days. I have reliably been informed that those monthly periods feel like the Armageddon so I can understand why some ladies would think their last days are near. However, smile ladies, for I am the bearer of good news – you are not dying anytime soon. You see, women are less likely to be in harm’s way than men are. This is not only a fact but a very painful fact. Why men have from time immemorial thought that they are immortal and therefore should constantly put themselves in harm’s way just so they can protect women, I have never figured out. It probably has something to do with the male ego and the natural order of things. But generally speaking, if you want to live forever, the male species is not one to be. If you are not flung to the frontline of a war that your country probably doesn’t even need, you will be a victim of a drive by shooting or worse still you could be like the Brazilian boy who died after masturbating 42 times in a row. Obviously women do not know how the hell this can happen but men secretly are looking up and counting how many times they have survived near death. This is what I am talking about. Men just cannot live for too long, let along forever. People who are married are looking at this and thinking; he has figured us out! I did figure you lot out a while back you know. For the men mostly (this time men get the better deal), marriage is the best way to live forever. I shall explain why. When you are making those vows, during the peak of your otherwise long life, you are promising each other to be together till death do you part. What you do not know (or very conveniently chose to ignore) is that you have set your target. A few months into the marriage and you are already feeling like the entire thing was a waste of time and borrowed funds. However, the words ‘till death do us part’ will keep ringing back and forth in your mind; and then it will dawn on you, death is too far away. Forever begins to become a reality when you are safely into a few years of your marriage. You see pretty young girls strolling around with fine figures, exquisite accents and smooth skins and then you turn to your partner who has been by your side all this while and think “Forever is a damned long time!”. Congratulations sir – you are going to live forever. Now don’t go slit your partner’s throat so you can shorten “forever”. Settle down, open your sports magazine and indulge. You my friend are going to live forever. It may seem obvious that if you do not ride on a Boda Boda (or Boda B like my friend Grace likes to call it), you will live longer because, well, you are not exposed to accidents. It is much deeper and more profound than this! Boda B rides get you to your destination faster. This does not sit well with the aspect of living forever. Take your time in whatever you do. Be late as often as you possibly can because then events will be postponed a little more in your life thus giving you a chance to live on and on and on. The Universe knows this and it shall oblige. Riding on a Boda B usually keeps your heart racing and if there is one thing that a racing heart is susceptible to, it is a heart attack. Heart attacks do not only kill rich people who just received news that the stock prices have gone down. They also kill poor people who are rushing for an interview on a Boda B and die from the heart attack brought by the news that the interview is actually over. 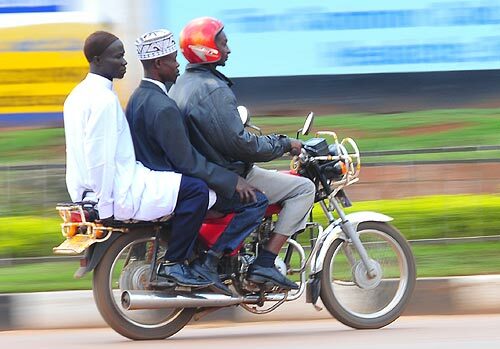 They equally kill people who ride on Boda Bs in the hope that they will reach some place, rob the rider and make off with their money and then things turn round, the Boda B man takes you through an unknown root, stops, takes all your money and leaves you for dead. So please stay away from the bodas if you would like to live forever. 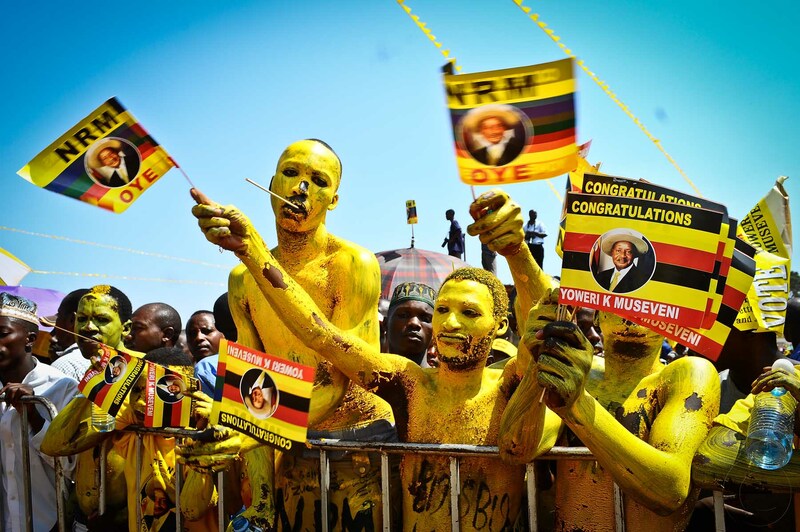 I made a vow to myself that I would not get into political jabber on this blog of mine and so before you FDC, Jeema and UPC people go all up in arms, please hear me out. I make the submission that only NRM people will live forever because; let’s face it – they have a clue about how ‘forever’ things work. If you were born after 1986, you will understand me better because it feels like forever since you last heard of another party in power. From the look of things, you should keep calm and just allow because forever is just getting started. Words like “another term” and “ekisanja” are words that are used by people who know how to and want to live forever. Maybe you folks in the opposition should pick a leaf and stop the “two term limit” nonsense. Forever is the way to go! Now if there is a group of people that will never leave the face of the earth, it is the upcoming artists in Uganda. These folks have been here and will be here until the ground probably gets angry with them, opens up and swallows them. I shall not point fingers at any upcoming artist for fear of jeopardizing their attempt at being immortal. These people start out as promising artists and for some reason, they never seem to fulfill their promises and so the Universe holds them to their word and will not let them go to the next level unless they fulfill the promises of their current level. Obviously if you are an upcoming artist, you have the inner hope that you will somehow eventually graduate into a full artist. Here is my advice – dump those dreams if you want to live forever. People whose careers leave the upcoming stage and go higher up the ladder often end up becoming super stars and then they get relegated to the books of history as if they never existed. You don’t want that now do you? The upcoming artist on the other hand, is always the supporting cast and therefore never really wears himself out. Seems farfetched? Well, how else would you explain Ross (not Rick but rather the Ugandan dude) making music for all those years and still being the artist who is invited to perform alongside other artists as the supporting cast? Those are tricks of immortality! You might have seen in papers, on blogs, in magazines on TV and even heard on radio that if you want to live long you need to eat well, sleep well, exercise regularly and do all those other boring things that normal people do. Well, I recommend otherwise. Do these things here and you my friend will live forever! As usual, I shall leave you with a quote that you can chew on as you gather the guts to go live forever. Smith must have a great idea on this.